Salesforce are on a mission to make accessing off platform data and web services as easy as possible. This helps keep the user experience optimal and consistent for the user and also allows admins to continue to leverage the platforms tools such as Process Builder and Flow, even if the data or logic is not on the platform. Starting with External Objects, they added the ability to see and also update data stored in external databases. Once setup, users can manipulate external records without leaving Salesforce, by staying within the familiar UI’s. With External Services, currently in Beta, they have extended this concept to external API services. UPDATE: The ASCIIArt Service covered in this blog has since been updated to use the Swagger schema standard. However this blog is still a very useful introduction to External Services. Once you have read it, head on over to this blog! In this blog lets first focus on the clicks-not-code steps you can repeat in your own org, to consume a live ASCII Art web service API i have exposed publicly. The API is simple, it takes a message and returns it in ASCII art format. The following steps result in a working UI to call the API and update a record. After the clicks not code bit i will share how the API was built, whats required for compatibility with this feature and how insanely easy it is to develop Web Services in Heroku using Nodejs. So lets dive in to External Services! The above solution was built with the following configurations / components. All of which are accessible under the LEX Setup menu (required for External Services) and takes around 5 minutes maximum to get up and running. I created myself a Custom Object, called Message, but you can easily adapt the following to any object you want, you just need a Rich Text field to store the result in. The only other thing you need to know of course is the web service URL. Can i use External Services with any Web Service then? In order to build technologies that simplify what are normally things developers have to interpret and code manually. Web Service APIs must be documented in a way that External Services can understand. In this Beta release this is the Interagent schema standard (created by Heroku as it happens). Support for the more broadly adopted Swagger / OpenId will be added in the Winter release (Safe Harbour). For my ASCII Art service above, i authored the Interagent schema based on a sample the Salesforce PM for this feature kindly shared, more on this later. When creating the External Service in moment we will provide a schema to this service. From the setup menu search for Named Credential and click New. This is a simple Web Service that requires no authentication. Basically provide only the part of the above URL that points to the Web Service endpoint. Now for the magic! Under the Setup menu (only in Lightning Experience) search for Integrations and start the wizard. Its a pretty straight forward process, of selecting the above Named Credential, then telling it the URL for the schema. If thats not exposed by the service you want to use, you can paste a Schema in directly (which lets a developer define a schema yourself if one does not already exist). Once you have created the External Service you can review the operations it has discovered. Salesforce uses the documentation embedded in the given schema to display a rather pleasing summary actually. So what just happened? Well… internally the wizard wrote some Apex code on your behalf and implemented the Invocable Method annotations to enable that Apex code to appear in tools like Process Builder (not supported in Beta) and Flow. Pretty cool! Whats more interesting for those wondering, is you cannot actually see this Apex code, its there but some how magically managed by the platform. Though i’ve not confirmed, i would assume it does not require code coverage. Update: According to the PM, in Winter’18 it will be possible “see” the generated class from other Apex classes and thus reuse the generated code from Apex as well. Kind of like a Api Stub Generator. This simple Flow prompts the user for a message to convert, calls the External Service and updates a Rich Text field on the record with the response. You will see in the Flow sidebar the generated Apex class generated by the External Service appears. The following screenshots show some of the key steps involved in setting up the Flow and its three steps, including making a Flow variable for the record Id. This is later used when embedding the Flow in Lightning Experience in the next step. TIP: When setting the ASCII Art service response into the field, i wrapped the value in the HTML elements, pre and code to ensure the use of a monospaced font when the Rich Text field displayed the value. Navigate to your desired objects record detail page and select Edit Page from the cog in the top right of the page to open the Lightning App Builder. Here you can drag the Flow component onto the page and configure it to call the above flow. Make sure to map the Flow variable for the record Id as shown in the screenshot, to ensure the current record is passed. Thats it, your done! Enjoy your ASCII Art messages! Belinda, the PM for this feature was also kind enough to share the sample code for the example shown in TrailheaDX, from which the service in this blog is based. However i did wanted to build my own version to do something different from the credit example. Also extend my personal experience with Heroku and Nodejs more. The NodeJS code for this solution is only 41 lines long. It runs up a web server (using the very easy to use hapi library), and registers a couple of handlers. One handler returns the statically defined schema.json file, the other implements the service itself. As side note, the joi library is an easy way add validation to the service parameters. // Call figlet to generate the ASCII Art and return it! I decided i wanted to explore the diversity of whats available in the Nodejs space, through npm. To keep things light i chose to have a bit of fun and quickly found an ASCIIArt library, called figlet. Though i soon discovered that npm had a library for pretty much every other use case i came up with! Finally the hand written Interagent schema is also shown below and is reasonably short and easy to understand for this example. Its not all that well documented in layman’s terms as far as i can see. See my thoughts on this and upcoming Swagger support below. Finally here is the package.json file that brings the whole node app together! You can handle errors from the service in the usual way by using the Fault path from the element. The error shown is not all that pretty, but then in fairness there is not really much of a standard to follow here. Can a Web Service called this way talk back to Salesforce? Flow provides various system variables, one of which is the Session Id. Thus you could pass this as an argument to your Web Service. Be careful though as the running user may not have Salesforce API access and this will be a UI session and thus will be short lived. Thus you may want to explore another means to obtain an renewable oAuth token for more advanced uses. Currently in the Beta the Flow is blocked until the Web Service returns, so its good practice to make your service short and sweet. Salesforce are planning async support as part of the roadmap however. Its unclear at this stage how complex a web service can be supported given Flows limitations around Invocable Methods which this feature depends on. The future is bright with Swagger support! Both External Objects and External Services reflect the reality of the continued need for integration tools and making this process simpler and thus cheaper. Separate services and data repositories are for now here to stay. I’m really pleased to see Salesforce doing what it does best, making complex things easier for the masses. Or as Einstein would say…“Everything should be made as simple as possible, but no simpler“. Finally you can read more about External Objects here and here through Agustina’s and laterally Alba’s excellent blogs. Categories: External Services, Flow, Force.com, Heroku, Invocable Methods, Lightning, Tools, Web Services | Permalink. This REST API seems to be UI helper API that wraps a number of smaller already existing REST API’s on the platform. Providing a one stop shop (a single API call) for reading both record data and related record metadata such as layout and theme information. In addition to that it will resolve security before returning the response. If your building your own replacement UI or integrating the platform into a custom UI. This API looks like it could be quite a saving on development costs, compared to the many API calls and client logic that would be required to figure all this out. Reading between the lines its likely its the byproduct of a previously internal API Salesforce themselves have been using for Salesforce1 Mobile already? But thats just a guess on my behalf! The good news if so, is that its likely pretty well battle tested from a stability and use case perspective. The API has its own dedicated Developer Guide if want to read more. If there is one major fly in the ointment of the #clicksnotcode story so far, it’s been calling API’s. By definition they require a developer to write code to use them, right? Well not anymore! A new feature of delivered via Flow (and likely Process Builder) allows the user to effectively teach Flow about REST API’s via JSON Hyper-Schema (an emerging and very interesting independent specification for describing API’s). Once the user points the new External Services Wizard to an API supporting JSON Hyper Schema it uses the information to generate Apex code for an Invocable Method that makes the HTTP callout. Generating Apex code, is a relatively new approach by Salesforce to a tricky requirement to bring more power to non-developers and one i am also a fan of. It is something they have done before for Transaction Security Policies plugins and of course Force.com Sites. At time of writing i could not find it in my pre-release org, but i am keen to dig in deeper! Read more here. Following the big splash made at Dreamforce 2016 around the new AI capability known as Einstein. The immediate question on mine and many other partner and developers mind was “How do we make use of it from code?”. Spring provides an invite only pilot access to a new REST API around image processing and recognition. No mention yet of an APEX API though. You can read more about the API at in the release notes and in more detailed via the dedicated Metamind “A Salesforce Company” site here. There is also some clearer information on exactly where it popups up in Salesforce products. As readers of this blog will know, i am big fan of Apex Mocks, an open source Apex mocking library produced by fellow FinancialForce.com employee Paul Hardaker (DevOps Director), and laterally heavily documented and promoted by Jesse Altman and David Frudd (also of FinancialForce). More recently at Dreamforce 2016 they co-presented with Salesforce developers responsible for the Apex Stub API. The reason being is Apex Mocks and Apex Stub API have a very close relationship in bringing enterprise level mocking frameworks to Apex. For more information check out the Dreamforce 2016 recording and this GitHub repo branch in your pre-release org and the official announcement here. So calling this an “API” is a bit of stretch i know. Since its basically a existing Apex method on the SObject class. The big news though is that a gap in its behaviour has been fixed / filled that makes it more useful. Basically prior to Spring this method would not recognise fields set by code after a record (SObject) was queried. Thus if for example your attempting to implement a generic FLS checking solution using the response from this method, you where left feeling a little disappointed. Thankfully the method now returns all populated fields, regardless if they are populated via the query or later set by code. Its now possible to create and delete reports using the Analytics REST API (no mention of the Apex API equivalent and i suspect this wont be supported). Reports are a great way to provide a means for driving data selection for processes you develop. The Analytics API is available in REST and Apex contexts. 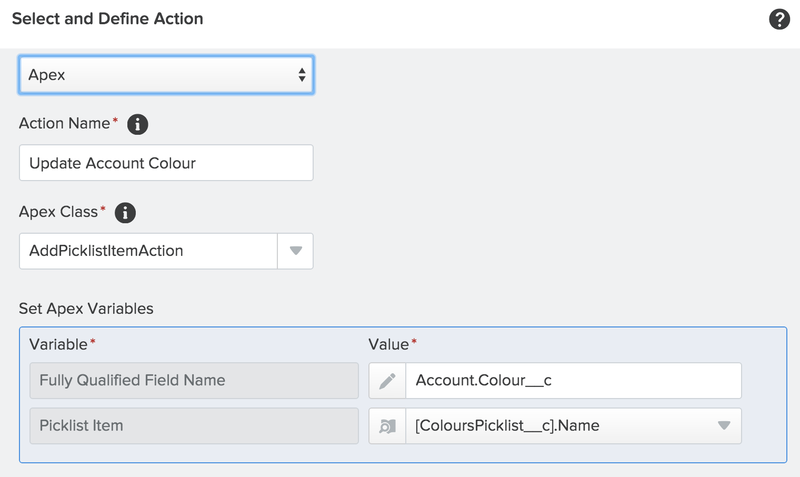 As well as driving reports from your code, Report Notifications allow users to schedule reports and have actions performed if certain criteria is met. I recently covered the ability to invoke an Apex class and Flow in response to Report Notification in this blog, Supercharing Salesforce Report Subscriptions. In Spring, the Reports REST API can now create notifications. An often overlooked implication of using multiple REST API calls in response to a user action is that if those calls update the database, there is no over arching database transaction. Meaning if the user was to close the page before processing was done, or kill the mobile app or your client code just crashed. It is possible to leave the records in an an invalid state. This is bad for database integrity. Apart from this, making multiple consecutive REST API calls can eat into an orgs 24hr rolling quota. To address these use cases Salesforce have now released in GA form the composite and tree APIs (which actually this was already GA, how did i miss that?!). The composite resource API does allow you to package multiple CRUD REST API calls into one call and optionally control transaction scope via the AllOrNothing header. Allowing the possibility of committing multiple records in one CRUD API requested. The tree API allows you to create an account with a related set of contacts (for example) in one transaction wrapped REST API call. Basically the REST API is now bulkified! You can read more in the release notes here and in the REST API developers guide here and here. In an increasing realtime on demand world we live in, the Streaming API is critical for keeping hungry users updated. I personally long for its return in a Lightning UI world (i have some thoughts on this involving the new Container Component). In the meantime my exploits thus far have been around Internet of Things and Lego robots! Basically using the Streaming API within a small Java app hosted by the Lego Mindstorms EV3 to control the robot from Salesforce. The implementation of that Java app was i recall tricky in terms of Java libraries needed and the API involved. Salesforce have open sourced a new Java library, much in the spirit of the WSC library, that simplifies access to the Streaming API. Salesforce is overhauling their long standing Bulk REST API. Chances are you have not used it much, as its mostly geared towards data loading tools and integration frameworks (its simply invoked by ticking a box in the Salesforce Data Loader). The first phase of v2.0 changes to this API allow it to support larger CSV files to be uploaded and automatically chunked by the platform without the developer having to split them. Also changing the way limits are imposed, making it more record centric. Read more here. Tooling API appears to be taken on new REST API resources that expose more standard aspects of the platform, such as formula functions and operators. For those building alternative UI’s over these features its a welcome alternative to hard coding these lists and having to remember to check / update them each release. Read more here. Ironically my favourite API, the Metadata API has undergone mainly typical changes relating to new features elsewhere in the release. So no new methods or general features. I guess given all the great stuff above, i can not feel to sad! Especially with the announcement recently from the Apex PM that the native Apex Metadata API is finally under development, of course safe harbour and no statement yet on dates… but progress! Categories: Action Link, Analytics API, Apex, ApexMocks, Dreamforce, Flow, Invocable Methods, Iot, Metadata API, Permission Sets, Reporting, Salesforce API, Testing, Tooling API | Permalink. Actions are Salesforce’s general term for tasks users can perform either through buttons throughout various UI’s on desktop, mobile, tablet etc or in fact via non-UI processes such those built via via Process Builder or Automation Flows. Actions are about “getting things done” in Salesforce. They encapsulate a piece of logic that allows a user to perform some work, such as sending email. When an action runs, it saves changes in your organization by updating the database. More here. Over the years we’ve had many terms and ways to define these. Custom Button and Custom Link are perhaps the most obvious ones, which i’ve covered here in the past. Quick Actions (previously Publisher Actions) and more recently we’ve had Action Link‘s, which i covered in a past blog. Then of course the Standard Buttons, Edit, Delete, Follow, Submit for Approval etc provided by the platform. Such actions appear in various places Record layouts, List Views, Related Lists, Chatter and more recently Flexi Pages (aka Lighting Pages). This next query reveals actions shown on a List View. I did note Custom List View buttons that require record selection did not appear however. I suspect this is due to them requiring more than a simple HTTP GET URL to invoke. Prior to Summer’16 (out in preview as i write this), Apex SOQL was not supported, only REST API SOQL. This is due to a limitation with the internally applied LIMIT keyword. This has now been resolved in Summer’16, so Apex SOQL now works! SourceEntity can also be given an SObject API name, e.g. 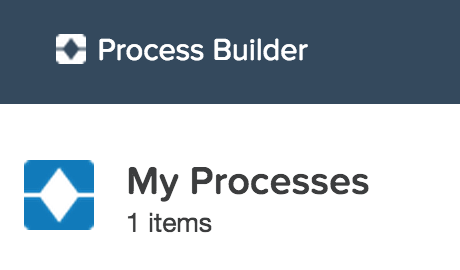 SourceEntity = ‘Account’, the result here are object level buttons, like New or those you add to the MRU page. DeviceFormat field value matters, if you leave it off, it defaults to Phone. Thus some actions will be missing from those in Desktop (Lightning Experience) or Aloha (Classic). I eventually found Custom Buttons using Visualforce pages that didn’t have the Lightning Supported checkbox set didn’t appear when querying with the Phone device type for example. 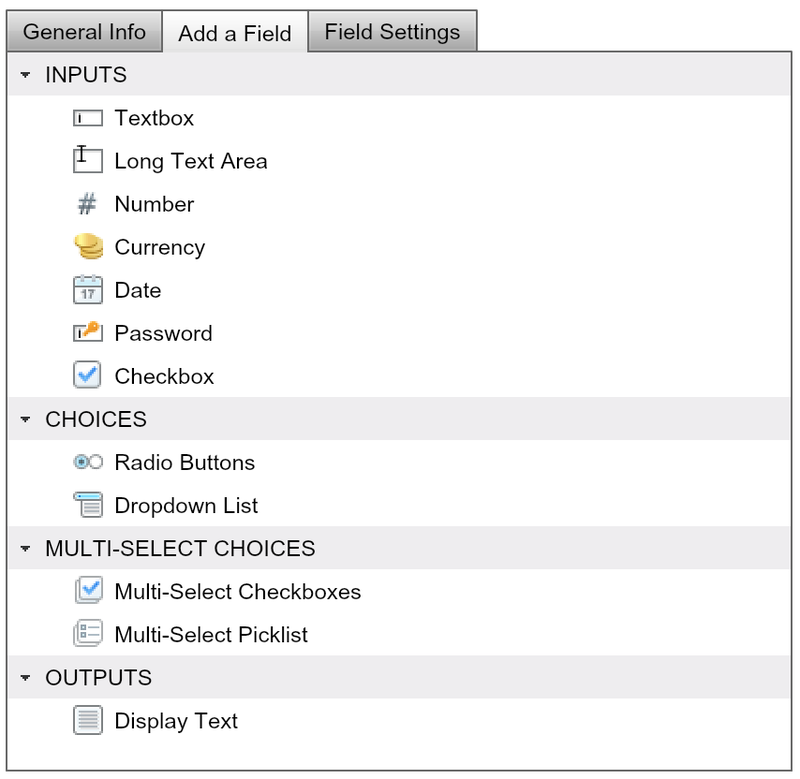 User context matters, actions returned are user and configuration sensitive, meaning the record itself, record type and associated layout all contribute to the actions returned. Custom Buttons for example need to be on the relevant layout. Label and Icon information, there are also fields that allow you to render appropriate labels and icons for the actions. Related List actions, you can also retrieve actions shown on related lists, search for RelatedList in the help topic here. Describe actions? You will notice some actions have an ActionTargetType of Describe? These are invoked via an API, something i will cover in later blog. So lets discuss the “virtual SObject” bit!?! Your probably wondering what a virtual SObject is? Well my best guess is its an SObject that is not backed by physical data in the Salesforce database. If you check the documentation you’ll see fields just like any other object and it supports SOQL (with some limitations). My thinking is the records for this object are dynamically generated on demand by doing all the heavy lifting internally to scan all the various historic places where actions have been defined. Thank you Salesforce architects, this is now my #1 coolest Salesforce API! For starters, no more URL hacking of those standard pages, no excuses now! Helper class or Visualforce and/or Lighting component for actions? Categories: Invocable Methods, Salesforce API, Tools | Permalink.